Jim shares ownership of American Industrial door with his wife Charlene. 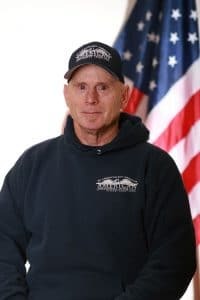 Jim has been in the door business ever since getting out of Navy and now has 30 years of experience. Jim still runs into doors he installed nearly 30 years ago and are finally needing to be replaced. He heads the commercial sales department. 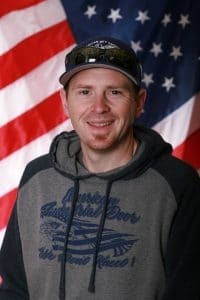 Jim together with his family and dedicated employees have made American Industrial Door the largest door company in Southern Oregon and Northern California. Josh is a second generation door guy. He began installing doors right out of high school and now has been in the business for 13 years. Josh began as an installer and now runs the residential outside sales department. Josh is responsible for our huge residential builder base. He is well liked and has been a great asset to his customers. Ryan began with American Industrial Door shortly after leaving high school and has been here since 2002. 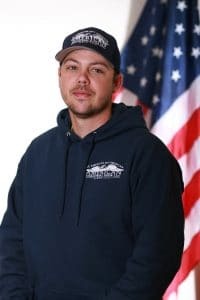 Ryan worked in both the residential and commercial divisions and later was our lead technician for all the commercial work. In 2013 Ryan was moved into our scheduling department, scheduling new installs and in 2017 moved into our Commercial Sales. Ryan’s ability to master the door business and share his knowledge to the newer technicians has been a great benefit for the company. Troy has been with American Industrial Door since 2013. He moved up from California and has been in the door business since 2000. 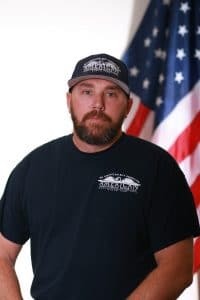 Troy began with us as a door installer and in 2015 he moved into our outside sales department. Troy’s well-rounded experience in both residential and commercial makes him a great asset to any customer he works with.